How do you build an real estate EMPIRE? I saw that question on a forum and it inspired this article. Here’s the thing: we have built our empire through hard work, baby steps, and not giving up when it feels like we are on a rollercoaster with a failed security bar. Because guess what? That analogy is true every time we are trying to “close” on a house. I remember telling my dad that a closing has never gone right and this most recent one has been no less. Trust me, that will be an article as SOON as we close on it ! That begin said, we are still at 5 houses in less than 4 years! We have baby stepped our way and we certainly haven’t earned tons of money. We got started at 23 and 25, me right out of grad school and my husband still a young officer. Yet almost 4 short years later we own 5 houses (soon to be 7). I have been unemployed or under employed little less than half. This is our real estate empire. I am the first person to tell you I have a starbucks habits and LOVE to travel. Although my plan in the beginning was to hire a property manager instead I self manage. While it certainly has lots of moments, I have been able to save a lot of money, and still live my life. We live on my husband salary and invest mine. I downsized over my husband’s deployment saving 10k and then used that to invest in a more “family” oriented house. Did anyone say POOL and Garage? The thing is you live it up in some places and you cut corners in others. By living frugally we had the money at 24 to buy 2 albeit “cheap” rentals. I hear the comment from a lot of people that this area doesn’t make sense. So invest somewhere else! We bought our first house in Virginia Beach. I love it but the numbers just didn’t make sense when we had to put 20% down. The thing is I LOVE real estate. If you meet me in person you will find that this is my FAVORITE subject to talk about. The strangest thing is that this paid off! When we we went to my sister in laws graduation we saw an old friend and she showed us around her area. I fell in love and the numbers WORKED. It was a depressed area due to the economic crisis but was on its way up. We saw the potential and we invested. Guess what it paid off!! So don’t be afraid to try something new! Get out there! Babystep your way through a personal property, live frugally and on one salary. Start investing young even though it seems small. Before you know it you will have a huge “golden” empire! What’s your story? 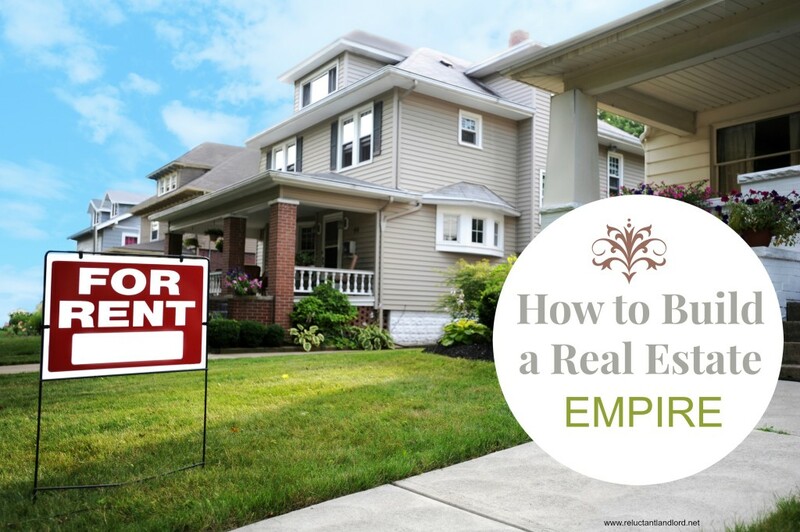 Are you building a real estate empire? I am in the process of buying my second property on a va home loan and I can totally relate to closing issues. Another way I made the numbers work for me was taking my original va loan and doing a IRRl VA refinance. This increased my cash flow by 100 dollars and cost me both because the closing cost were rolled into the new loan. It also did not involve pulling a credit score or putting any money down. Sorry for the typo in the original post. The refi did not cost me any money out of pocket. Those are awesome! Going through mine now!